I Am Endorphin Dude, See Me Run! : Color The Skies. Rise. Shine. Give. Run. Color The Skies. Rise. Shine. Give. Run. I ran my very first 5K today, and what a thrill it was. My official time was 28:53, and I ranked #173 over-all out of 382. 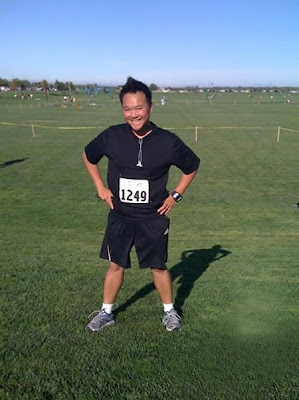 I was coming into this race hoping for a 12:00 pace, but I finished the 5K at 9:24. I far exceeded my expectations! I'll provide the full break down in a day or two when I am able to breathe again!